The definitive refutation to the argument of The Bell Curve. 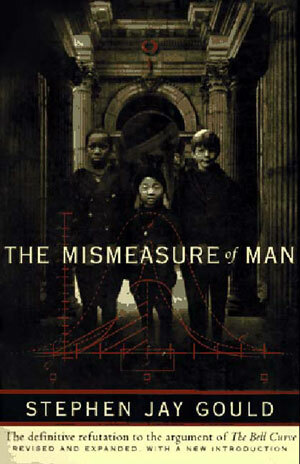 When published in 1981, The Mismeasure of Man was immediately hailed as a masterwork, the ringing answer to those who would classify people, rank them according to their supposed genetic gifts and limits. And yet the idea of innate limits—of biology as destiny—dies hard, as witness the attention devoted to The Bell Curve, whose arguments are here so effectively anticipated and thoroughly undermined by Stephen Jay Gould. In this edition Dr. Gould has written a substantial new introduction telling how and why he wrote the book and tracing the subsequent history of the controversy on innateness right through The Bell Curve. Further, he has added five essays on questions of The Bell Curve in particular and on race, racism, and biological determinism in general. 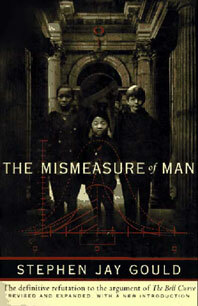 These additions strengthen the book's claim to be, as Leo J. Kamin of Princeton University has said, "a major contribution toward deflating pseudo-biological 'explanations' of our present social woes."